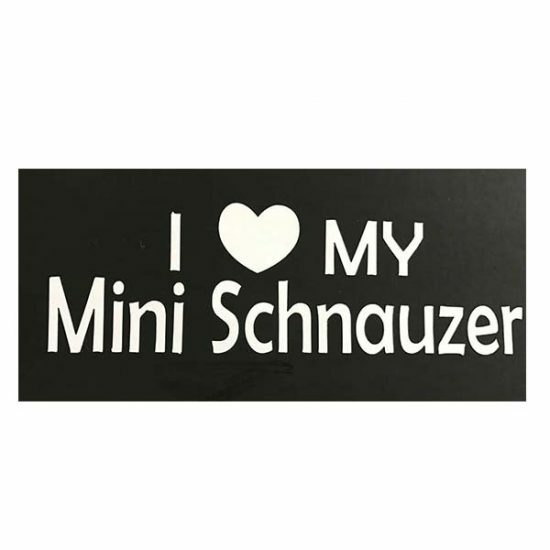 This is a fun, custom Schnauzer vinyl window decal. 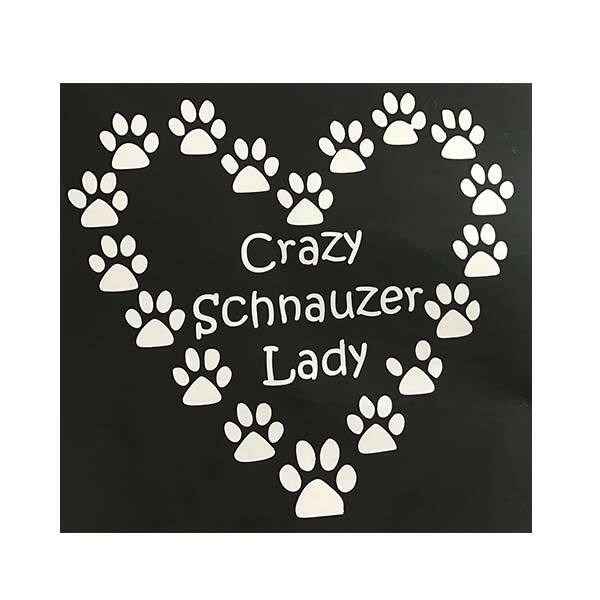 Tell people the way it is: You’re a lady who is crazy about her Schnauzer – or Schnauzers! 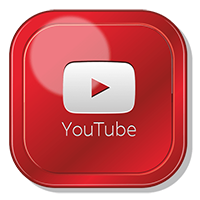 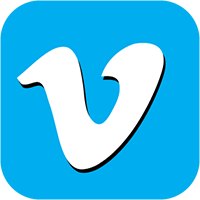 While these are great for car windows, they work very well on house windows also. 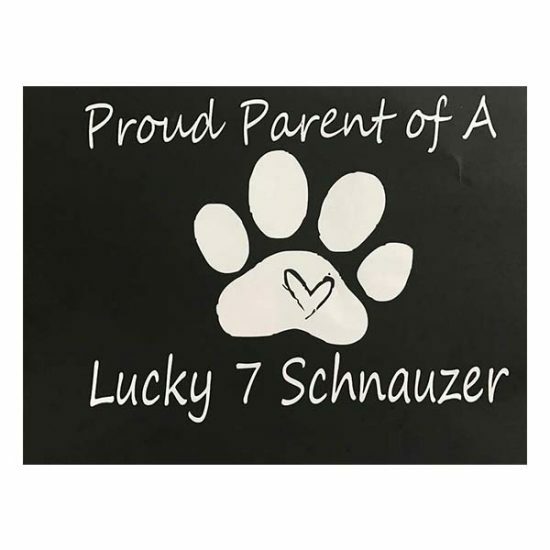 Many Lucky 7 Schnauzer owners use our vinyl window decals to make glass doors more obvious – especially to young Schnauzer puppies that don’t yet quite understand clean (invisible, but hard) glass. 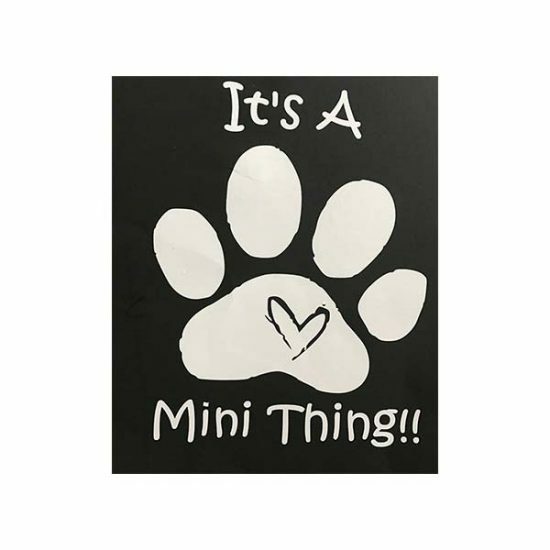 Order one for each vehicle, and at least one for a house door or window. 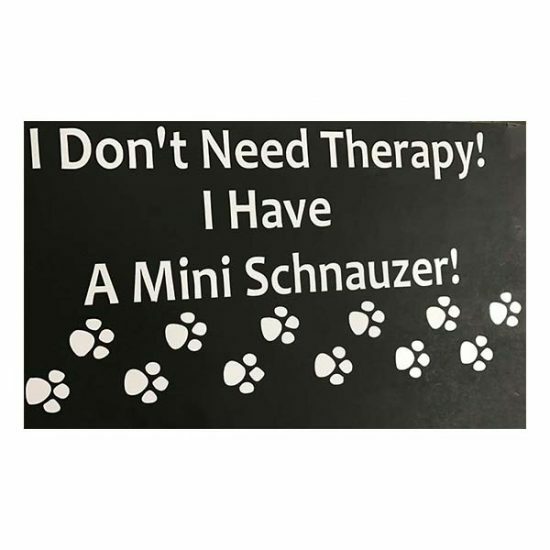 Being a Schnauzer owner is a GOOD kind of crazy!